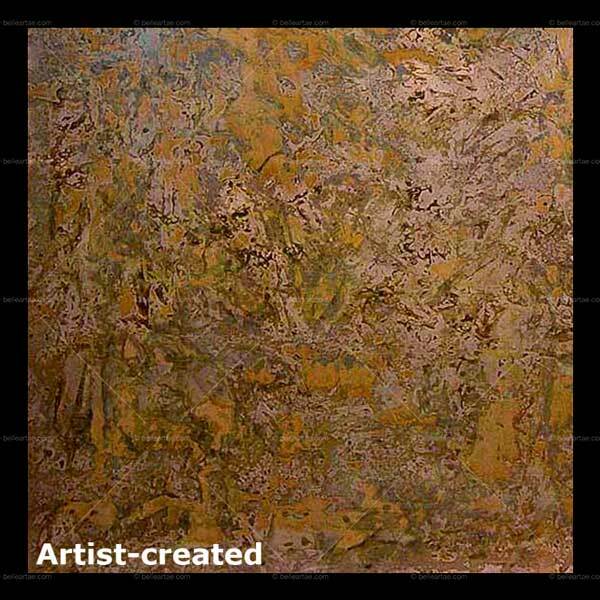 Our special, artist-created, patinated or tooled metal panels, are all custom-made. Consequently, all such panels are unique and quite variable in color and design. This photo is representative of its type, but because each panel is unique, it is unlikely that any custom-made panel will match this photo exactly. When ordering artist-created panels, a color range may be requested but color matching is not possible. All artist-made panels are subject to the artist's availability and schedule.